Your bedroom is one of the most important rooms in the house. This is where you rest after a long day and where you are refreshed for the next day. This is why the design of the room is very important. You need to be able to relax there, and with a few tweaks, any bedroom can be transformed into a calm haven where you can get a great night’s sleep. When you are planning your bedroom you need to make sure that you get the right bed. Years ago, there was a “one size fits all” attitude to beds, but these days there is a wide variety of frames and mattresses so you can tailor your bed to suit your tastes and requirements. Frames range from divan through to wooden and metal frames. When you go to buy a bed and mattress, you will find that there are different categories of mattress. You can try them out in the showroom for comfort, so you can find the one that is right for you. A good mattress can help to ensure that you get a good night’s sleep. Your mattress needs to be supportive so that you do not wake up with the usual aches and pains that are familiar when you have spent most of the night feeling uncomfortable. Memory foam mattresses are becoming increasingly popular because they offer the right amount of support, and mold to the individual. It is well known that the color of the walls can affect a person’s mood, and if you want to awake each morning feeling refreshed then you need to consider the color of your bedroom walls very carefully. Plain white is a good choice for those who like a minimalist approach to decor and it can also make the room feel much lighter and bigger. However, a neutral approach can help to make the room feel a little warmer without overwhelming the ambiance. Neutral beige or soft shades of green or blue can be very relaxing. As an alternative to a block color, wallpaper has once again become popular for bedrooms and you can choose to put this on a feature wall, or choose a delicate print that will work well on all the walls. Lighting is very important and subdued lighting is a good idea, as bright light does not really create a relaxing atmosphere for a good night’s sleep. Lamps are a great alternative to the main room light but you also need to consider natural light. Controlling the amount of natural light that comes into a room will help you to get the right conditions for sleep. 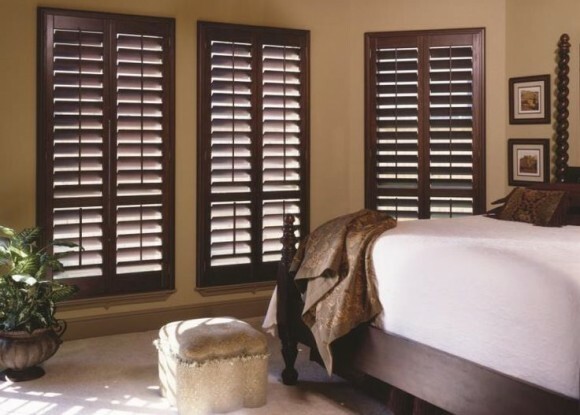 Curtains and blinds continue to be popular, but if you want something a little different then solid wooden shutters are a good alternative. They are stylish, long lasting and you can cut out a lot of natural light using these. It is often said that kitchens and bathrooms are the most important rooms in the house, but if your bedroom is less than perfect for you, the quality of sleep you have might be suffering as a result. Make just a few changes and notice the difference.